Did you ever think that plants and insects were involved in mutually beneficial, collaborative relationships? Well, plants do enjoy companionship. Grocery stores were not always the norm and experienced gardeners know how to optimize on their growing space, minimize labor, and grow high quality and flavorful produce by working in harmony with living organisms. Gardeners know the value of attracting the right type of beneficial insects to their flowering plants for fruit to develop. Insects are enticed by sweet nectar and other food sources for a mealtime feast. The bee or butterfly enjoys the edibles while being dusted with pollen from the male flower that is carried to the receptive female flower. This reproduction process allows for the development of fruit that house the seeds for the next generation of plant growth. As a result, people benefit from the abundant food sources that grace the dinning table or fill the fruit bowl. Everything and everyone are made-up of chemicals and is the language of plants. Pollen is an example of a chemical compound that has a role to play in the game of life. There are many other chemicals that are involved in the communication system among the living. These compounds may enhance or agitate neighboring species of plants. Tomatoes and chives/onions enjoy sharing their space in a garden where the addition of potatoes creates an inhospitable combination. Sharing space is a great way to intermix your planting of crops to gain relationship benefits and maximize on the area that is used for planting. Native Americans used the term “Three Sisters” to bless the union of corn, beans, and squash in the same growing area. Beans provide a valuable service of offering nitrogen to the soil as a service to their community. Nitrogen is a valuable chemical relished by plants. Corn offers shade and a possible pole for plants to climb. Squash may serve as a ground cover to reduce the evaporation of water from the soil. Remember to keep the beans away from garlic/onions. Leafy spinach and radish roots do well with sharing an abundance of space found in a well-organized garden. It helps to start your gardening strategy session early since good planning offers the opportunity to start the season with cool season crops. The cool ones complete their growing cycle in a location where the next generation heat tolerant transplants dominate. The cool fall temperatures ushers in a permit to plant cool season crops once again. You may even be industrious enough to start your plants in pots in preparation for the welcoming space offered by the early successional harvest. Potatoes, Jerusalem artichokes, and garlic may be found in many a cold season ecosystem. Not all insects are as friendly as the beneficials and will compete for the fruits (or leaves) of you labor. Companion plants may acts as a decoy or repellant to those pesky buggers. Nasturtiums provides a welcoming habitat to pest insects; such as spiders and grand beetles. You must be alert to remove any pests that find their way into your garden. Marigolds are a great associate for tomatoes and melons. Nematodes and diamond back moth larva are controlled by these brightly colored, fragrant flowers. As you design your collaborative plantings it helps to be attentive to the similar needs of the plants. Different crops are persnickety as to the types of soil, light, water, and fertilizer found in their domain. Make note of root-space and timing with your creative design. 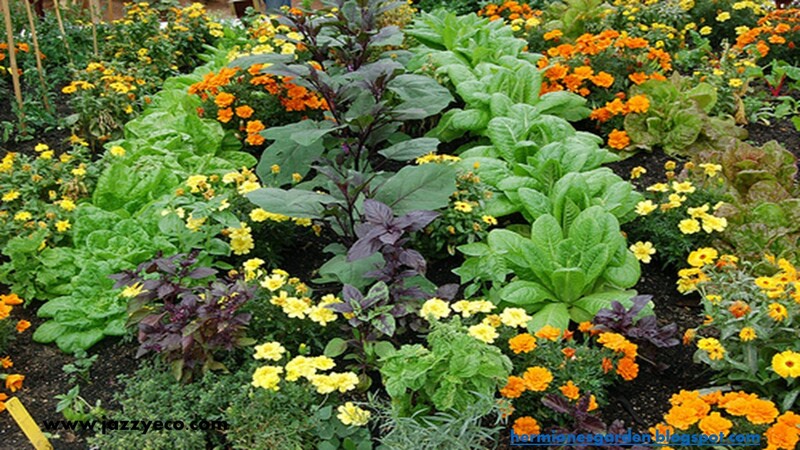 There are those plant lovers that tend to separate their plantings of herbs, flowers, and food crops. A great strategy is to mix your plantings wherever you choose to plant. You may have to defend flora from rabbits or deer that will enjoy a feast of your delectable crops. My story: I saw the most incredibly, beautiful deer as I worked in my garden. My feelings about this multi-horned stag changed when I entered my sanctuary the following morning. The precious crop had been defoliated as their stems were stripped clean of their leaves. A solar-powered electric fence with peanut butter laden strips of aluminum foils solved my herbivore problem. Home and community gardening takes time, patience, and experience. However, the rewards are abundant. A freshly picked melon, ear of corn, or tomatoes greets your taste buds with a flavor to tame the wild spirited. Elizabeth Armstrong, PhD is an author and owner business owner. Book “Align With The Wild”. Blog: naturemystic.wordpress.com. Join the Edible Garden Challenge: facebook.com/ediblegardenchallenge. Receive Jazzy Eco’s Newsletter through her website.